The death of Fr. Don Driscoll, S.J. A beloved member of the Creighton Community has died. Fr. Don Driscoll, S.J. was also a valued part of this Online Ministries ministry. He wrote Daily Reflections and contributed an Audio Retreat which remains on our site. We thank God for this blessed man, for the witness of his faith and generous dedication, and for his wonderful sense of humor. Please join us in praying for him and for all who grieve his death. An Tribute to Fr. Driscoll. Listen to the wake service, the sharing, and the funeral homily. Listen to a 47 second taste of his retreat. Fr. Driscoll's Daily Reflection for Good Friday, last year. "I find it exhilarating to write these reflections. I'm so touched by what I read and by the responses that I get. I think having the opportunity to touch hearts and souls through this medium is pure gift. It's a privilege and it's for all of us as we share in the priesthood of Christ. I'm touched by the way things I say resonate the same way with other people from around the world and I realize I'm not alone." Death of Fr. 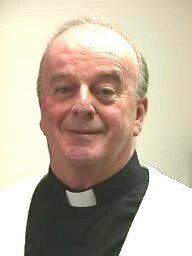 Donald D. Driscoll, S.J. Fr. Donald D. Driscoll, S.J. Don, 73, passed away unexpectedly last night around midnight of an apparent heart attack. Fr. Donald David Driscoll was born in Evergreen Park, IL on June 17, 1933. After attending parochial schools in Chicago, he went to Campion High School in Prairie du Chien, WI. He entered the novitiate at Florissant, MO on August 8, 1952. His normal course of studies were in St. Louis, MO and St. Marys, KS. From 1967 until 1986, he taught theology at Marquette University High School in Milwaukee and served as its rector as well. 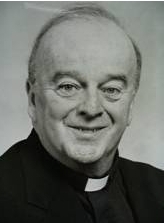 In 1987, he began his twenty years of service at Creighton University as a theology teacher as well as chaplain. DD was probably best known throughout his years in the Society as the man who always found humor in every situation. Don is survived by two nephews and a sister-in-law. May our great and compassionate God grant to His priest-servant, Donald, an eternal rest where the just repose; may the Angels lead him into Paradise. Let us remember Don, his family, and the Jesuits, Staff and Faculty, and students of Creighton University in our prayers.